Robert Harland is an agent for MI-6. At least, he had been for many years more than a decade before the series opens. He had been a spy working for that agency when he was caught in Czechoslovakia during the last days of that communist regime. Tortured and beaten by their security personnel, he was finally freed but then faced months of rehabilitation in an Austrian hospital slowly regaining a body broken by their techniques of interrogation. When he was healed enough to be discharged, he returned to London and the Department but everyone knew with his cover blown like it had been, his days as an agent were finished. His career now over, he looked what else was available for him. Single and alone except for a sister, he began to rebuild his life. His training before going into Intelligence work had been as an engineer for which he had received a degree and he returned to it and soon got a good job working for the Red Cross. After ten years with that relief organization, Harland made a switch to do a quick study for the U.N. a job that led to another and another and three more years had passed. Harland is nearing 50 when the series begins. He has returned to very good physical condition. He is described as a big man with a well-defined jaw and a serious but handsome face. He ias light brown fair which he keeps cut very short, revealing without care a receding hairline. His days as an agent, putting his life on the line, was long over. He was content with life, one that had an interesting but hardly dangerous line of work. Then reality pushed him back to his old profession. 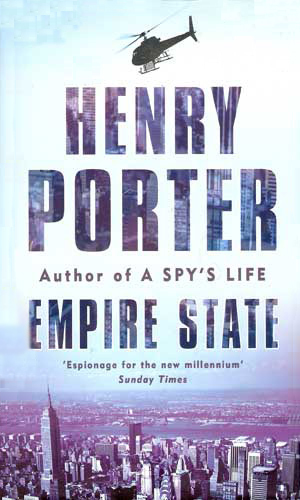 After many years of being out of the spy business, now working for the UN, Robert Harland's surivival of a air crash in New York pushes him back into the clandestine world where he doesn't want to be. The assassination of the Director of NSA at an airport in England is the opening salvo in a terrorist war that Robert Harland, working for both the UN and MI-6 is ordered to end. 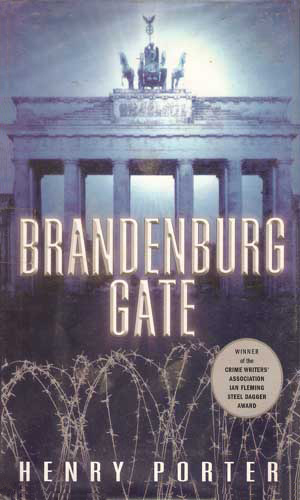 Dr Rudolf Rosenharte is a teacher in Dresden and a deep cover MI-6 agent. As the turmoil of the fall of East Germany surrounds him, he knows that he can head West to safety but leave his family behind or accept a mission from Robert Harland and head deeper into danger. Just as I was thinking that the days of the old gritty cloak-and-dagger error of the Cold War were gone for good, replaced by techno-thrillers, this series comes along. The atmosphere it presents is so like the despair and gloom of LeCarre's classic "The Spy Who Came In From The Cold" that you would have thought it written 40 years ago. But its topics are far from dated. 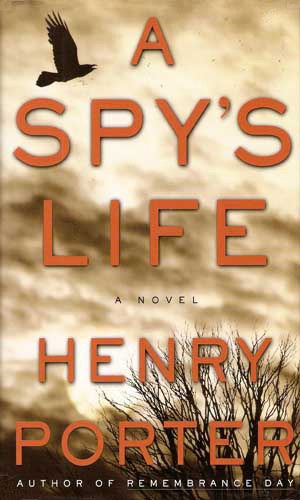 It just portrays the bleak world of the spy like few others do these days. These books are for the realism-desiring spy fiction fans and for them, it will be a real find.